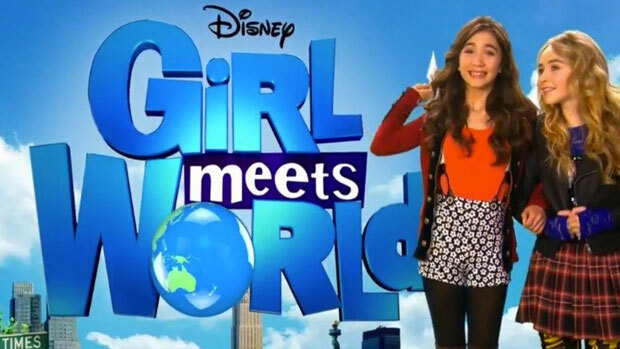 Do you want to get on the popular Disney Channel show “Girl Meets World”? Well here is your chance because the show is now filming in the Los Angeles area and Disney Channel producers are casting for live studio audience members. 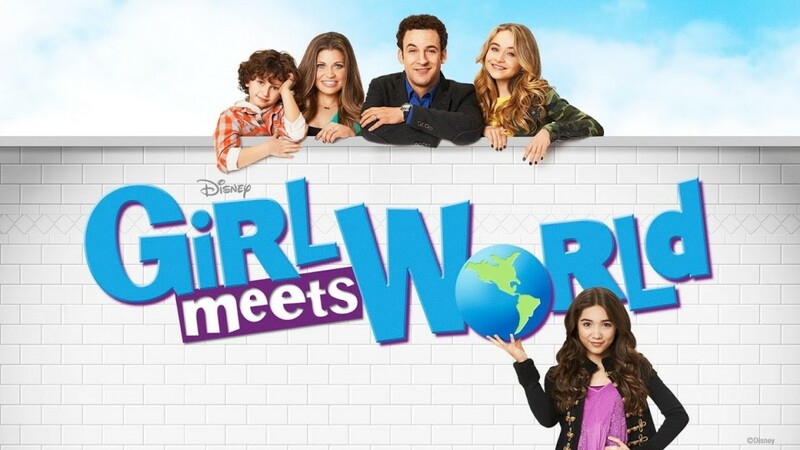 This is a chance to watch “Girl Meets World” right where it is filmed, as it is being filmed, live and in person. The show is giving away tickets to families with kids who are huge Disney Channel fans and those tickets are free. The series does film in the Los Angeles area so you would have to either live in the L.A. area or be coming down here for a visit in order to actually be in the studio audience. Kids have to be at least 10 years of age and accompanied by their parents in order to be considered to participate. Sometime back there was a casting call and audition out for Disney’s new new show “Girl Meets World“. The show is now in airing and still in production. The series is a remake of the 90’s Disney Channel hit “Boy Meets World“. and even includes some of the old cast, now grown up and having their own kids and family. 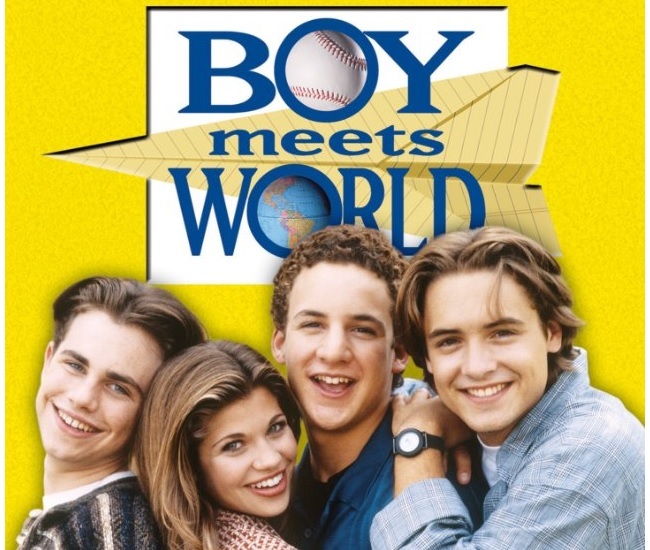 The original series, Boy meets World began airing on TV in 1993 and went many seasons until the series ended in 2000. The original show focused on two teens, Cory and Topanga. Cory and Topanga are now back in Girl Meets World but this time they are the parents and the story is being told from the point of view of their daughter Riley. The 90’s favorite TV teen couple are now married and the story of their lives still continues in the new Disney Channel series. The show’s new cast also includes Jackée Harry, Peyton Meyer, Rowan Blanchard, Sabrina Carpenter and William Daniels as the new generation. Cory is now a teacher. He has a daughter named Riley whose best friend is called Maya. “Girl Meets World” brings back the actors that originally played Cory and Topanga, Ben Savage and Danielle Fishel. Ben Savage spent 7 years on set of “Meets World” 2 decades back and had recently expressed his excitement on having a chance to now come back to the series again. Those interested in getting into the studio audience for a live taping of the Disney Channel series can check out the below information to request their spots. TICKET / AUDIENCE INFORMATION: When ordering tickets, please submit a separate order (party of 1) under his or her name for each guest attending. Due to the high demand for tickets, we request that guests interested in being the audience for multiple or consecutive show dates attend no more than once per month so that we may allow as many different fans as possible a chance to be in the studio audience. Guests who attend repeatedly or who have been admitted within the last three weeks/show dates may be placed in a ‘standby’ line regardless of arrival time so others who have not yet had the opportunity may be admitted. Thank you for your cooperation. To request your spots please see this page for more information and the availability. Please note that it films in the Los Angeles, California area and that you must be in the area in order to attend. While the tickets are free, those attending will be responsible for their own transportation and parking costs. Also, I can play the violin, piano, I’m an actress, at least I’m trying and I am in theater. My name is Jayla patton. I think being on any show is a blessings and if I got that chance I wouldn’t let you down. I can sing, dance, draw and I want to inspire kids my age of even adults if i could. So please give me the opportunity to do that. Hi, my name is Carolina and I love to act, sing and dance. I’m also very good in singing. I want to do this because I want to inspire the people, like Sabrina Carpenter in girl meet world inspired me. I want to touch the people with my voice. Acting experience: I have been a part of all of the community theaters, sparking a main role every time. Hi my name is rose. I wanted to be on Disney channel because they don’t do anything. I am supposed to receive a phone call, they didn’t call me the next year. I love Disney channel, April 25,2015 8:40am. Hi my name is rose and I would like to be on Disney channel because I like all your shows on Disney channel. I’m 13 years old and I was born 12/9/2001. Did I mention… I love Disney channel. I love girl meets world. I know all the characters: maya, riley, cory, Topanga, farkle, auggie and Lucas. I am 11 years old, 4’11, dark brown hair and eyes. I am a girl. I can sing and act. I would love to be on girl meets world/ I am 11 years old, I am 4’11 with dark brown hair and eyes. I can sing and act. Hi my name is Himal and I am looking to get a role in the show twisted as I have the credentials for this great opportunity. I am 6 feet tall with tan skin and am 18 years of age, a young man who dreams of being a star. Since I was the age of 7 I always believed that anything was possible with my family working day and night to make ends meet, I was always told to follow my dreams. Being an actor has always been my goal with my strong parts in school plays and passion for the film industry. I know I would fit in great in the show. If you believe skill, hard work and dedication for the arts are assets, thank you. Hi, I’m Helen, I’m 19 years old and boy I am in love with Girl Meets World. I’m extremely glad “Girl meets world” was made because after Boy meets world slowly stopped coming on, I was upset. I was in love with Shawn and Cory. I love Riley and Maya’s relationship. I’ll be completely honest, I’ve never acted a day in my life but I learn really fast. I’m weird (the good kind of course). I laugh at everything (I know what your thinking. This kid sounds crazy) but it’s who I am. I enjoy every moment I get in life. I’m a very happy person. I love to see the good in others even if it means getting hurt. I’m a member of the soccer team at Grambling State University. Been playing since I was 7 and I plan on going pro. I moved from Africa at the age of 9. Please help me live my dream of being on “Girl meets world”. Thank you and have a blessed day. Hi my name is Kimmel Brown. I live in SC and I have a dream to be on girl meets world. I’m 11 yrs old and I can sing and act. I will love to be on Disney. I think that Disney is every child’s dreams. You guys are good at what you do, please answer me back. I will love to live my dream. I am Rebecca Hinkle. I have been in 2 plays, How the Grinch Stole Christmas and Charlie in the Chocolate Factory. I would love to be considered for a part in a Disney Channel show or movie. I am 11 years old but I am 5 feet tall and look old for my age. I have modeled for Kendra’s Boutique. I love acting and work great with other actors. I love singing and can memorize things very easily. I have brown eyes and light brown hair. Hi my name is Taylah and I absolutely adore girl meets world as it is my FAVORITE Disney channel show, but who wouldn’t love it, it’s amazing. I am 12 years old and still watch all the Disney channel junior shows as well. I like Sofia the first and all, what can I say Disney keeps me young. As a kid I had many friends then got taken out of that school and into a new one as the years pass. I hardly had any friends, therefore Disney was always there for me after school. I would non stop watch Disney as I am an artist ( like Maya ) I drew all the characters from my favorite TV shows and dressed up like them. I did little shows and when my one friend was over we would do shows and when I went over to her house we STILL did shows. I love Disney and girl meets world especially. I do not know how I would live without it. I have blue eyes, blonde hair and actually look a lot like Maya ( my FAVORITE character, I could pass as her sister! ) Many people would say their idol is Katy Perry or Taylor swift but personally mine is Sabrina Carpenter. I love every single song of hers when ever I have an up coming singing performance ( I do singing classes and am quite good at it ), I sing one of her songs every time, thank you and goodbye. I AM TAYLAH ( I ???? farkle!). I really want to be on a show, it is my dream to become an actress. I may be attending the show. My name is Jasmine and I would love to be on Girl Meets World because I watch it and I really love the show especially the characters. I would give you the rest of the details about me please just email me back. My name if Elizabeth. I just turned 16 in November. I am a sophomore in high school. I have blonde hair and blue/green eye, plus I am white. My height is 5’4. I’m very athletic, I play basketball, soccer, I run/jump in track. I also run in cross country! I have ran in a half marathon. I have done horse shows, I even own one. His name is dusty! I am also a cheerleader which right now, I am captain. My life in high school is great. In school I am in invasive drama which I have done some acting. Now you might wonder why I would like to be in a part of “Girl meets World”.. Well I’ve always wanted to be on Disney, I want to be an actress. I have always thought it would be fun! Plus if I get this, this will help me do bigger things. Thank you for you time! P.s my cousin is good friends with farkel! Hi my name is Mariam and it would be a dream come true to be on girl meets world. I would love to meet Reilly and Maya, Lucas, Cory, Topanga and all the cast! I am 10 years old! With been waiting my whole life to go on Disney channel. My name is Zakari and I live in Florida. I always wanted to go on the Disney channel. I am 12 years old and I have been acting at the Indiana athenaeum for two years. I have been in a lot of school plays. I have been into acting since I was 4. I took piano lessons for 1 and a half years. I would love to act with Sabrina and Rowan on Girl Meets World. It would be an honor to be an extra or more on the show. My name is Katherine Johnson. I am 15 years old and I would love to be in one of the episodes in girl meets world, I’ve always wanted to be an actress and if I get a part in the show girl meets world it would be an honor. “Girl meets world” LOVE seeing your shows and I’ll love to be in one of your show’s. My name is Sterlyne, I am 13. I really love this show and I would love to get the tickets for the show. My name is Alyssa Bourgeois. I would love to get the tickets for that show. I like the concept and the actors. It would be the opportunity of a life time for me!